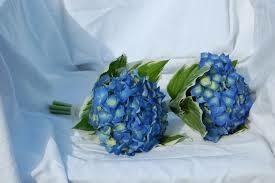 Hydrangeas, these are wonderfully versatile to use as a statement bouquet for a chic bridesmaid’s finishing touch. 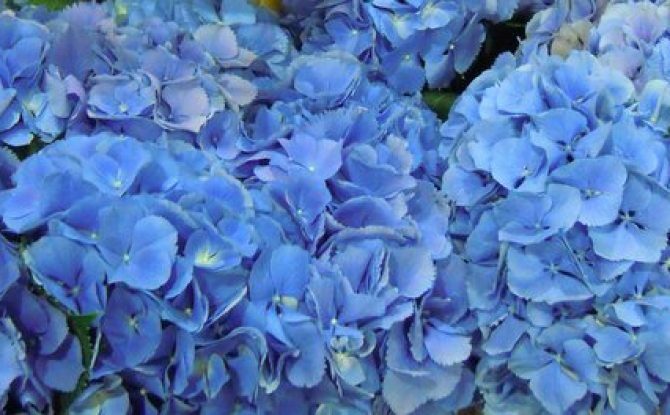 Indulge with en-masse hydrangea heads grouped together to form show-stopping plinth displays. Or, co-ordinated with luxury satin ribbon to finish any chair or church pew-end with a single magnificent stem head! The options within the blue palette is huge, ranging from the palest soft blue through mid-blues and on to the blue/purple, all fabulous. 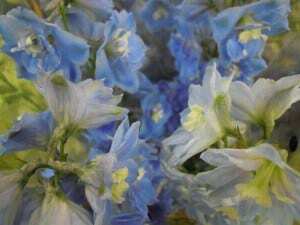 Delphiniums, tall and stately also available in a richly paletted colour way. Shades range from the softest baby blue through to dramatic rich azure or midnight blue. 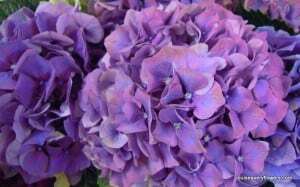 Their centres or ‘eye’ might be black or cream depending on variety and this can be used to add drama to a display or soften the look of the decoration. 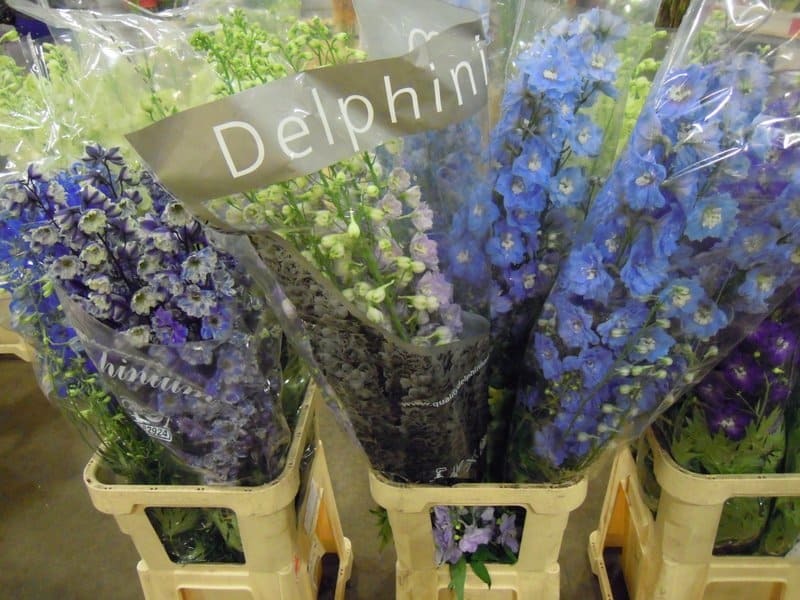 Delphiniums can be used to produce the most wonderful entrance arrangement for any venue, arranged together in garden style urns for a country feel or even wired as individual flowers to be incorporated into stunning bridal bouquets or hair pieces. 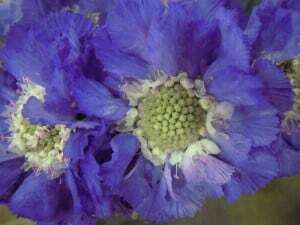 Scabious is next and July is the month for scabious. 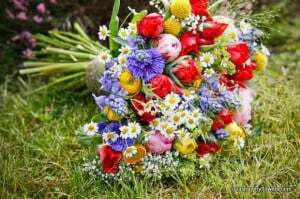 It is also available in white and can be used to create fabulous country style bridal bouquets and be used to co-ordinate the table arrangements too! 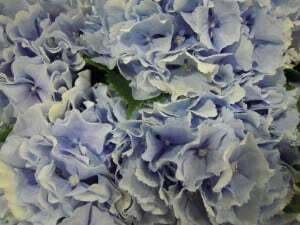 Its stem length is typically approximately 50cm and is always cut with beautiful buds. 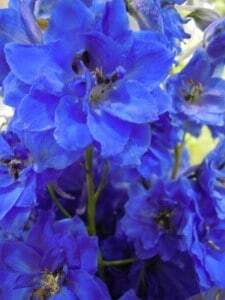 Another high summer favourite that is also available in pink or white is the Cornflower. 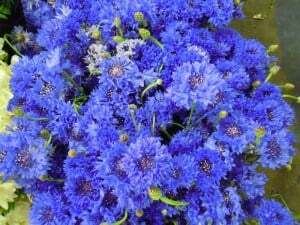 To create informal and colourful wedding flowers team the cornflowers with simple daisies, wheat ears or peonies. 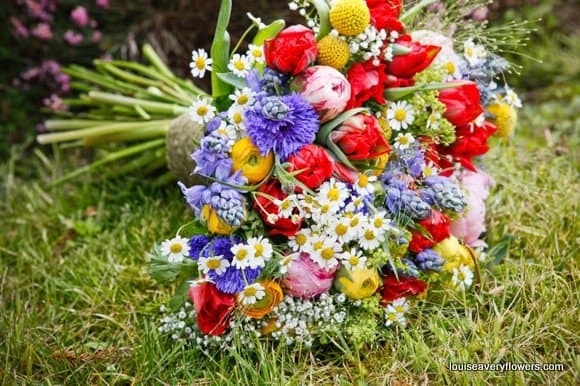 When combined with other informal style flowers your summer bouquets and natural stem posies will really look ‘picked from the meadow’ and offer a natural burst of colour. The same combination will look great followed through for colourful table decorations. The classic blue cornflower though is always much loved and rumoured to be a favourite buttonhole choice by the Prince of Wales.